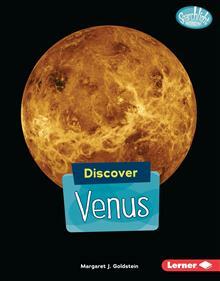 Up-to-date scientific information will engage readers as they learn about Venus. With a focus on STEM and new discoveries, this informative text examines the planet Venus and discusses what scientists hope to learn about it. Margaret J. Goldstein was born in Detroit and graduated from the University of Michigan. She is an editor and the author of many books for young readers. She lives in Palm Springs, California.